Was Mira in a BAD MOOD post her Dinner Date with hubby Shahid Kapoor? Last night, Shahid Kapoor took his dear wifey Mira Rajput Kapoor on a dinner date at a posh restaurant in Andheri. The couple had a great time, as, while waiting for their order to arrive, they were busy in a Q and A session with their fans on Instagram. However, it seems, post-dinner when they were heading home, Mira looked tired and was in no mood to smile for the papz who were waiting to capture them. Usually, Mira is all smiles and happy posing for the cameras, but last night she seemed she wasn't in a good mood. 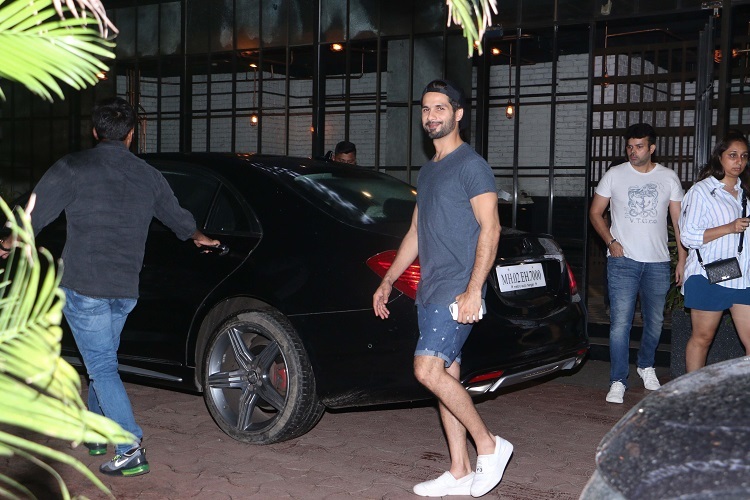 However, daddy-to-be for the second time, Shahid Kapoor was all smiles as she sat in his car.